By Dharmendra Patel, KNX Controls. 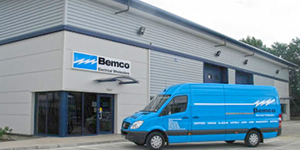 The advent of LED lighting a few years back has been the biggest challenge to lighting controls, ever. The lack of capable dimming products on the market is still an issue. The notable exception is KNX. With a new of generation products designed for the task, KNX gives me, as an integrator, not only the confidence of using compatible products, but access to dimming actuators that provide superior dimming with LED luminaires. The obvious upside to this, as a lighting designer, is that I have a wider choice of lighting products to use in my designs. 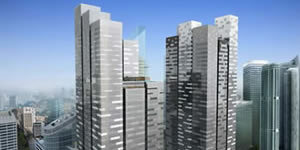 The greater the choice of lighting products, the more flexible the design can be. 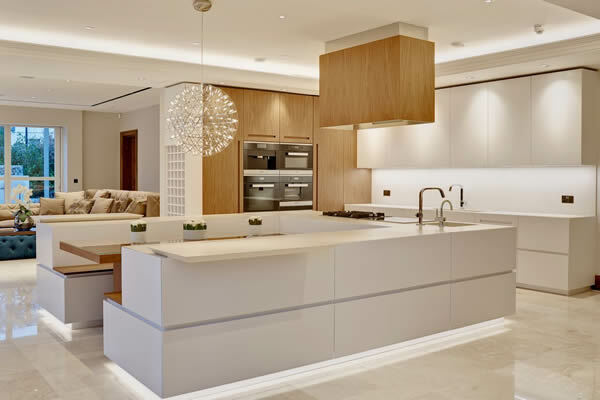 Compatibility, however, is only one element of a modern home’s lighting. The complexity of lighting itself has grown exponentially. Gone are the days of the three-arm brass pendant and the one-gang brass dimmer (is my age showing?) Today, many of the projects we work on have rooms with multiple circuits and various dimming requirements. Lighting is all about the luminaire. The most obvious factor in choosing a product, apart from cost, is aesthetics. This is an important factor, but so too is the performance of a product – a point that is often misunderstood or just overlooked. With LED light sources, colour consistency and colour rendering are critical, as well as output, beam angles and colour temperature. All of these factors will determine the look and feel of a room, and by varying the parameters for luminaires in a room, depth and texture can be created and enhanced. It is not just about the dimming of lights. Light used to create depth and texture. When creating a lighting scheme, my design will always have more than a little consideration of how it should be controlled, since the schemes I wish to create can only be achieved by careful manipulation of lighting levels in multiple circuits. The lighting design dictates the luminaires to be used, and this in turn dictates the control system, not just by circuit, but which protocols are required and what would work best, i.e. phase dimming, DALI, etc. Deploying a control system with multiple protocols could be a complex task, but not with KNX. This is where the KNX protocol empowers a lighting design. Its ability to work natively with DALI, 1-10V and DMX, combined with industry-leading phase-dimming, give us the freedom to work with multiple protocols under the KNX system. DALI gateways are proving to be the most powerful, combining the ease of deployment and compatibility of DALI with the power of KNX, all in a simple drop in ‘gateway’ that provides two-way communication – a translator if you will. Exterior lighting control with multiple circuits. 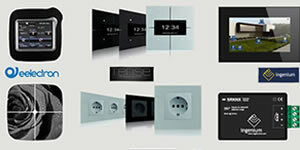 Whilst phase dimming is still predominant, DALI has been used more and more in residential installations. It still worries people when I talk of DALI – a four-letter word to some – but its ability to remove compatibility issues is unsurpassed. Don’t be mistaken though; careful matching of driver to LED engine is still crucial for best performance, which is why we always advocate the testing of luminaries, drivers and dimming actuators. Of course, we test for absence of flicker and smooth dimming, but just as important is a linear dimming performance. Our testing of numerous dimming equipment and light sources over the years has shown just how good or bad this can be. In general, the best performers are luminaires with integral LED engines, often known as chip-on-board (COB), whilst the worst performers are replacement LED lamps such as GU10 LEDs. (Left) A GU10 LED and (right) a modern COB luminaire that combines aesthetics and performance. The two tests we carry out use the same KNX dimming actuator with no changes to parameters. 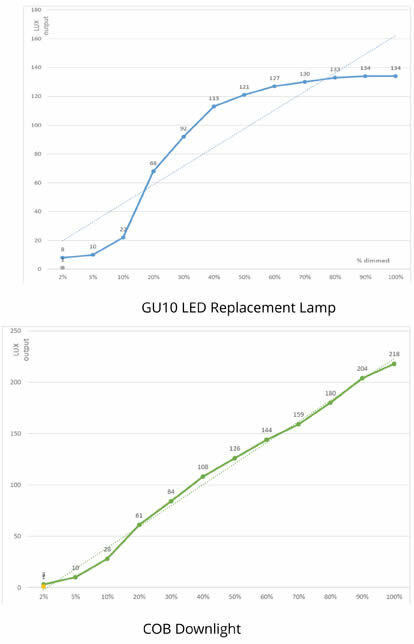 The distinct S shape of the GU10 graph shows a lack of dimming above around 60% and below around 15% of dimmed level, whilst the COB luminaire shows a very linear output compared to dimmed level. It is clear to see that while the GU10s do dim, their performance is significantly poorer than the COB. We have found this true of all GU10 lamps that we have tested. I also consider their lighting performance to be below par, so use them with caution! Graph showing dimming performance of GU10 and COB luminaires. The current buzzword in lighting is ‘tuneable’, and while I understand the concept, I am not yet convinced of its merits outside of commercial installations such as offices, hospitals, hospitality etc. I am pleased to say, however, that KNX manufacturers have kept pace with this development and there are several products that are geared towards what is essentially a multi-channel control requirement. When using tuneable white engines, you can consider this to be a two-circuit dimming device, with the mixing of colour temperatures giving a summed colour temperature to suit requirements. This is best done in DALI, but it could be done with phase-dimmed circuits using scene control. 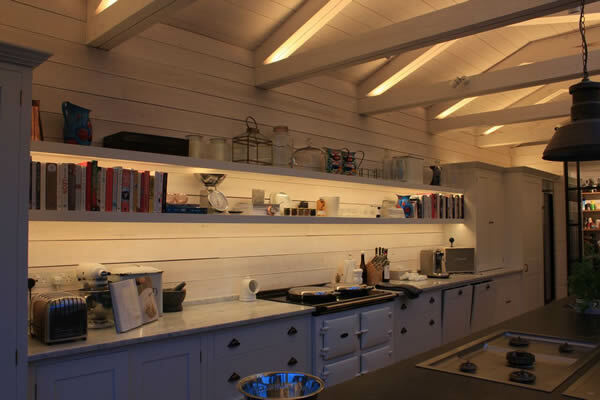 An alternative to this, and a more practical solution, is the ‘dim to warm’ luminaire, which is ideal for residential installations where you wish to emulate the now defunct GLS/halogen lamps. With these, the LED engine shifts colour temperature from warm to very warm, as it dims down. This type of fitting can be found with phase dimming compatibility, and so could be readily deployed in conventional or existing projects (just check for compatibility). I don’t often use this type of fitting due to the extreme shift of colour and the drastic reduction in lumen output. It’s no good for use in a kitchen, but could perhaps work in a lounge or bedroom setting. With both of these versions, you can see that the linear dimming of luminaires is vital, so the selection and setup of the control system is critical for best results. 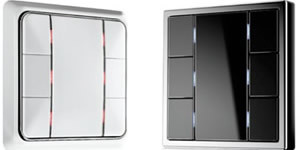 We have used both phase dimming and DALI for tuneable white and RGB situations, to great effect. Linear DALI dimming used for colour mixing. With changes in the lighting industry now happening at such speed, the controls behind lighting designs must have the ability to keep up. 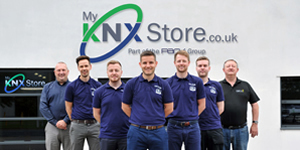 Thanks to KNX being an open standard, I have found that the vast, pooled, R&D that goes on behind the scenes has produced products that I can rely on to deliver my designs. What’s more, the fact that it is built on KNX architecture means that we can maintain a level of future proofing that is otherwise unheard of. An essential component of any accomplished lighting design is the ability to use scene controls as well as sensors and timers. 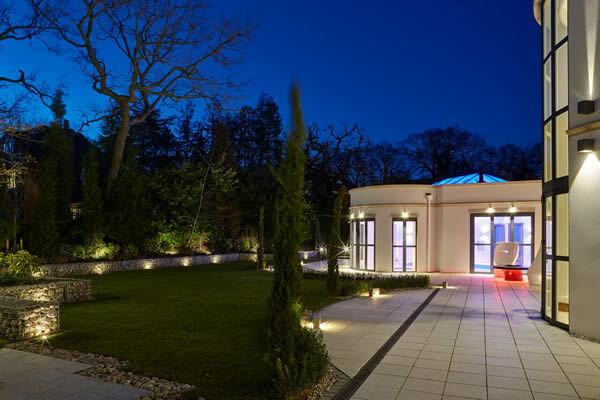 A room with eight lighting circuits needs the simplicity of a single button to produce a mood or ambience, as well as welcome you home by using a well-placed PIR or deter intruders with occupancy simulation. This is all possible using KNX, and is something I have learned to exploit and incorporate into my lighting designs as well as my automation systems. 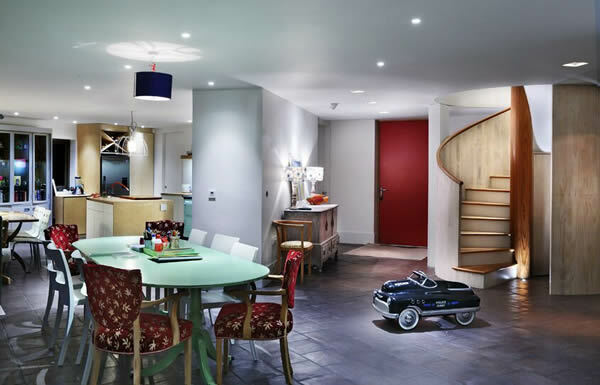 The ability to go from a soft background lighting scene to a comfortably-lit one, for example in a hallway, gives the occupants a greater sense of the lighting working with the home. Light used to create mood. 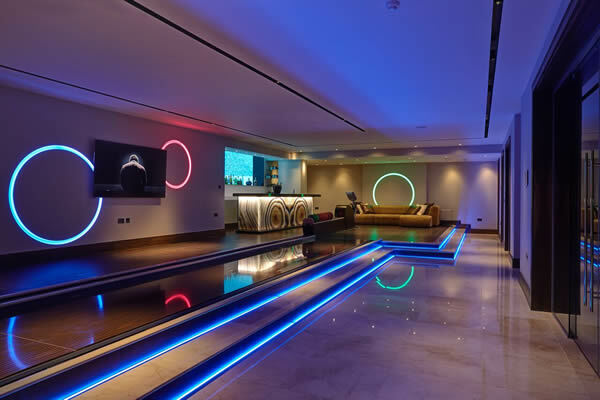 Our approach to lighting and control is that they are one and the same – the one accentuates and enables the other. I believe that the KNX protocol not only meets the requirements of my designs, it provides me with the opportunity for greater things. Whilst I have spoken of KNX being my only choice for lighting control, it is also my first choice for HVAC, shading and all other automation requirements. The variety and choice of components available in the wider KNX family are unparalleled, and its green credentials only add to this.